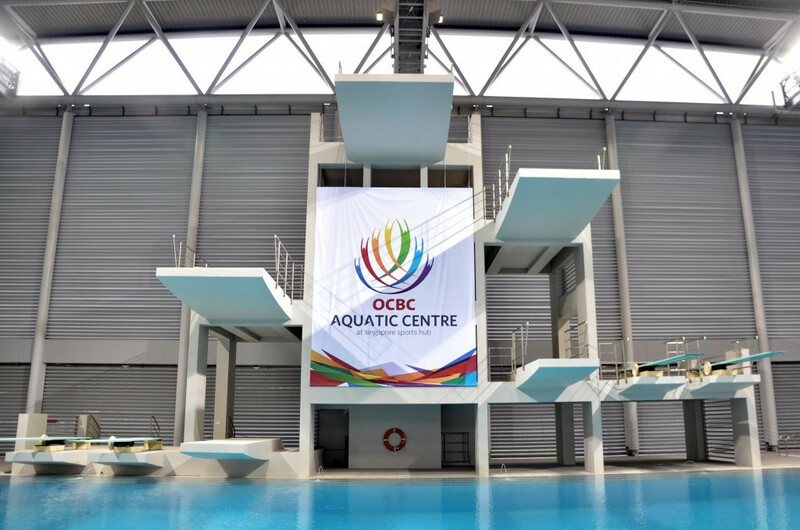 Japan secured three titles on the final day of the International Swimming Federation (FINA) Diving Grand Prix season as the drew to a close at the OCBC Aquatic Centre in Singapore. Hazuki Miyamoto and Minami Itahashi enjoyed a closely fought battle in the women’s three metre springboard competition.at the OCBC Aquatic Centre. The two team-mates were separated by 0.55 points, Miyamoto securing the gold medal by ending on a total of 281.40. Kimberly Bong Qian Ping completed the podium places behind the Japanese duo as the Malaysian scored 209.10 points. There was also a Japanese top two in the men’s 10 metre platform competition, Nishida Reo comfortably triumphing on 409.00 points. His compatriot Taichi Okajima finished second on 376.70 points and Ukraine’s Yevhen Naumenko was some way adrift in third place with 276.25. Nana Sasaki and Matsuri Ari, the top two in the women’s platform competition yesterday, combined to take the gold medal for Japan in the synchronised event. The duo ended on a winning total of 276.48 points, while Tamara Irvine and Nikita Hains of Australia scored 253.38 to win the silver medal. Ukraine’s Sofiia Lyskun and Valeriia Liulko completed the podium with 250.23 points. Diving superpowers China, absent from most events in Singapore, did claim the men’s three metre synchronised springboard gold medal. Their pairing of Chen Linhai and Li Linwei triumphed with a score of 366.42 points, while Japan’s Yuto Araki and Eiji Hasegawa ended with a total of 342.57 to take the silver medal. Home favourites Timothy Han Kuan Lee and Mark Han Ming Lee secured the bronze medal with 329.67 points.